Movie: "The Legacy of a Whitetail Deer Hunter"
A divorced father with a hunting show takes his son on a hunting trip to kill his first deer as a way to bond and as a right of passage into manhood. Nothing says "bonding" like a father-son hunting trip, roughing it in the wilderness, sleeping under the stars with the cool mountain air breezing by your face, and the blood of a freshly slaughtered deer on your boots. 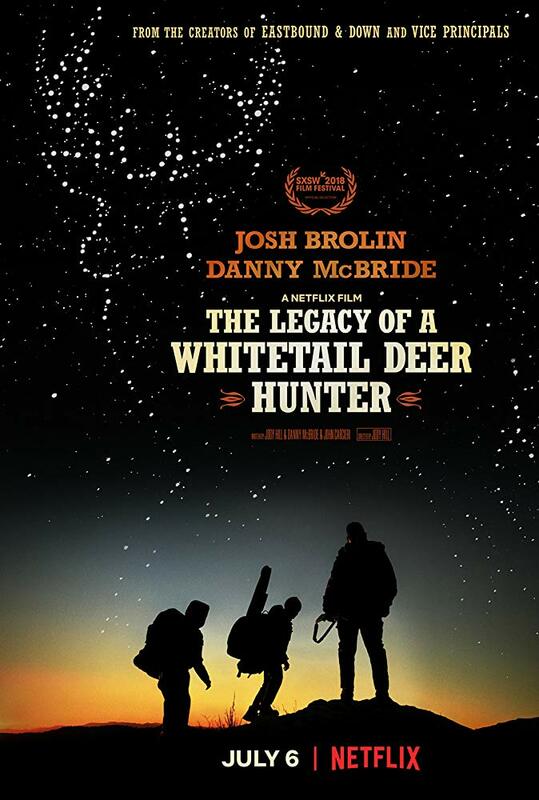 "The Legacy of a Whitetail Deer Hunter" is directed by Jody Hill, who has directed other films such as "The Foot Fist Way" and "Observe and Report." The story revolves around a deer hunter named Buck Ferguson (Josh Brolin), who has his own self-produced hunting show where he hunts whitetail deer all around the world. Buck's latest episode is a special one. He is going to take his 12-year-old son Jaden (Montana Jordan) on an excursion to kill his first deer. Buck also sees this trip as an opportunity to bond with his young son, who he doesn't get to see very much since he and his wife were divorced two years earlier. When "The Legacy of a Whitetail Deer Hunter" starts out, it appears as if it's going to be a bit of a spoof on the hunting shows you may find on CMT (Country Music Television) or the Outdoor Channel. It feels like the whole movie is going to be a tongue-in-cheek comedy...until it isn't. There is some tonal unevenness where that somewhat goofy, mocking style is supplanted with a more earnest and heartfelt family drama as Buck and his son try to connect until the off-beat humor comes swinging back around with full force. The humorous elements are a little dark and subversive at first. There are times when a scene with a heartfelt moment occurs as a set-up to a gag, while others are meant to be truthful and moving. These constant tonal shifts can be jarring. That being said, we do think the acting in this film is shockingly good. Josh Brolin does a fantastic job as Buck Ferguson as he plays a salt of the earth type of guy who is juxtaposed well with Montana Jordan's more generation-Z lover of all things technological. Their relationship is (one that we hope is not) super typical, but that's what makes their dynamic interesting. Danny McBride is also in the film as Buck's cameraman and friend Don. Even McBride is more tolerable here than he usually is. He still offers up his crass style of humor, but it is dialed way back and trickles in from time to time rather than pouring in like an uncapped fire hydrant like in any of his other projects. 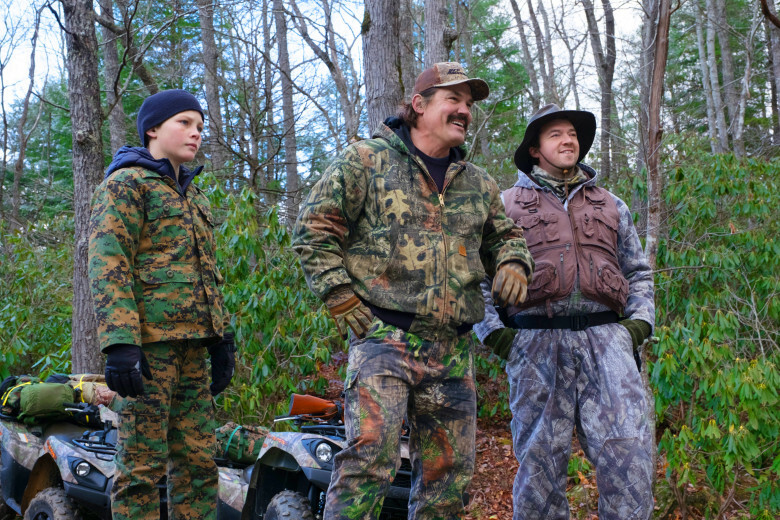 There are many genuinely funny moments during "The Legacy of a Whitetail Deer Hunter" that made us laugh quite a bit. Despite its tonal problems, we think we laughed enough to say this Netflix original is worth checking out.